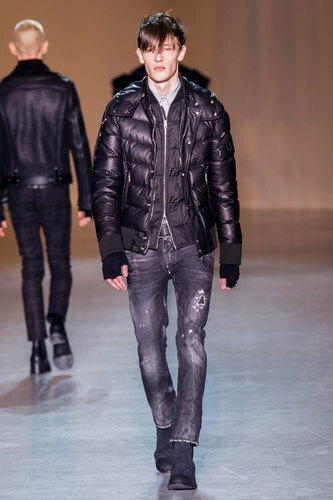 Diesel Black Gold Man Autumn-Winter 2015-16 – Diesel Black and Gold’s collection is once again an example of smart casual denim combined. 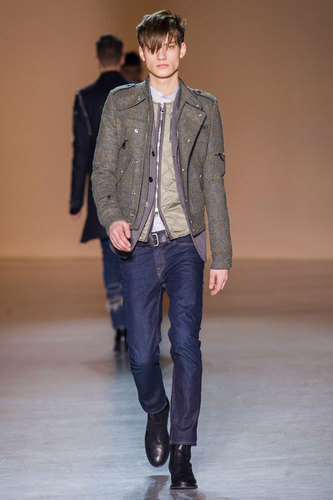 The recent opening of a store in London is the main inspiration for this young casual wardrobe. 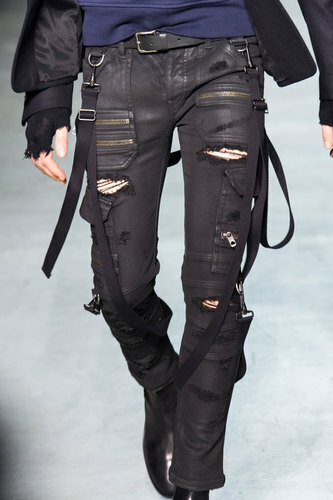 The new season offers a large variety of ripped jeans and tapered pants enriched by multiple zips and pockets. 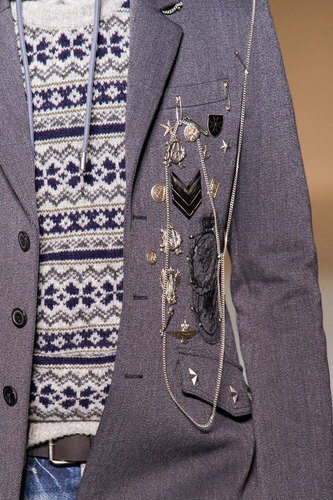 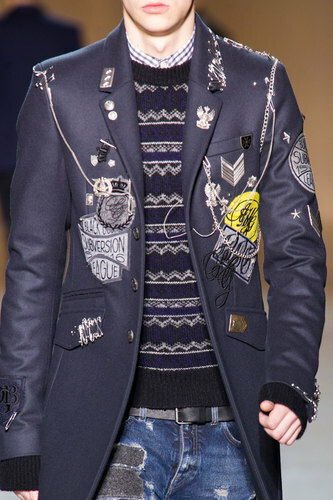 Punk London traditional details can be found in safety pins, small silver chains and studs as decorations of the jackets. 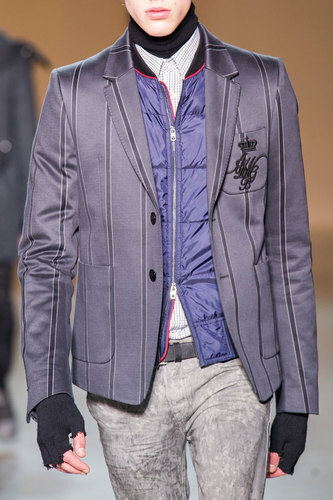 The brand initials are stitched on a patch as they are the official emblem of a British uniform college. 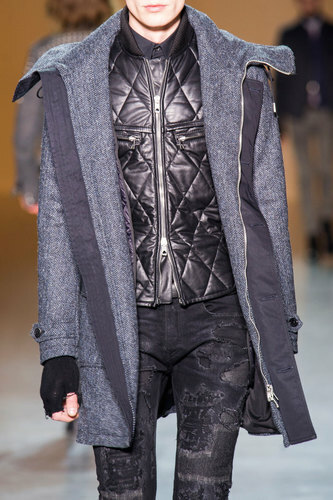 Sporty and casual sweaters are matching the jeans under glossy bombers or more traditional winter coats. 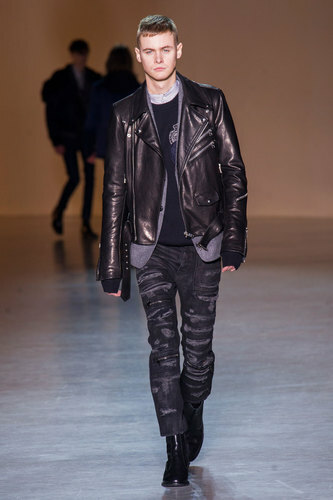 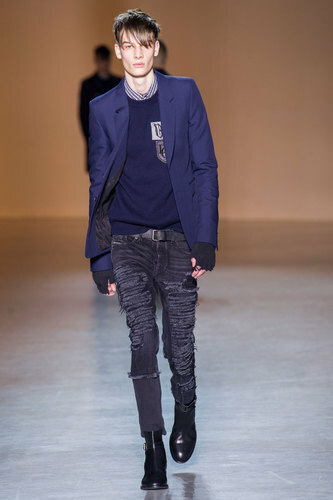 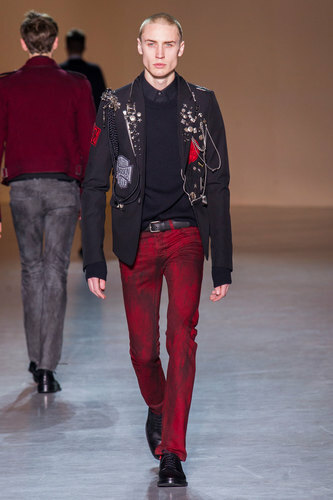 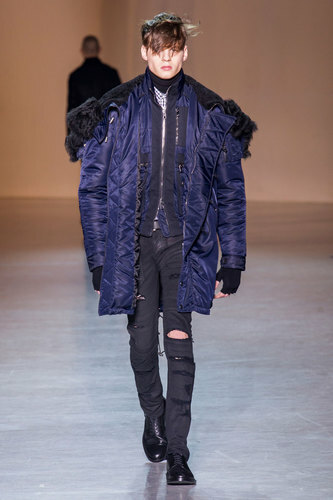 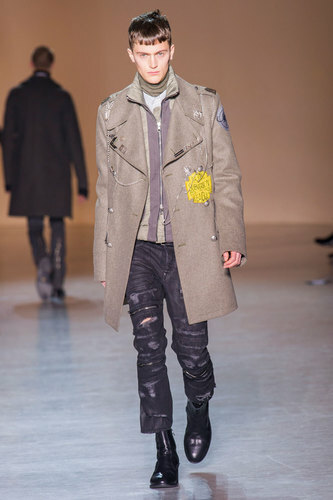 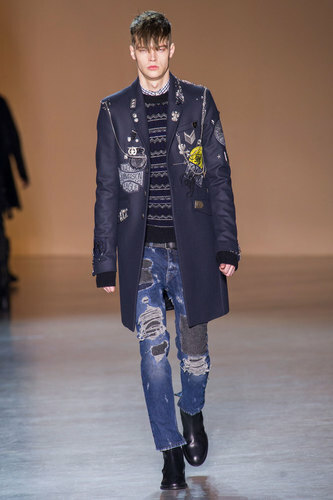 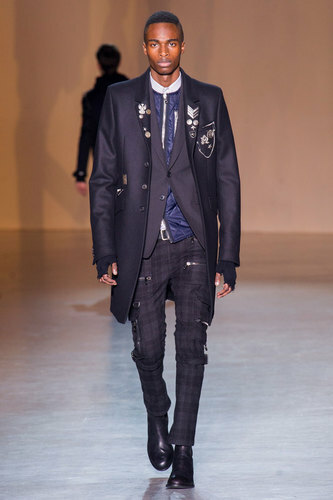 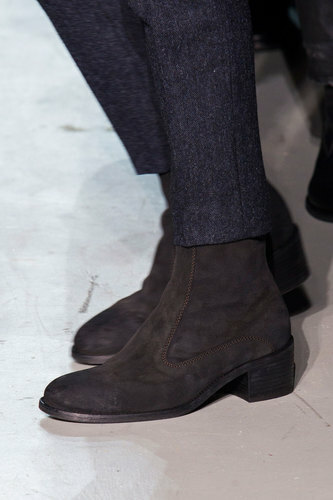 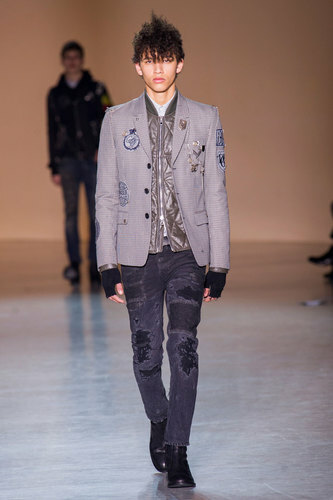 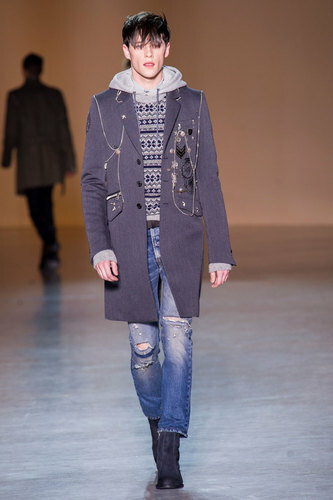 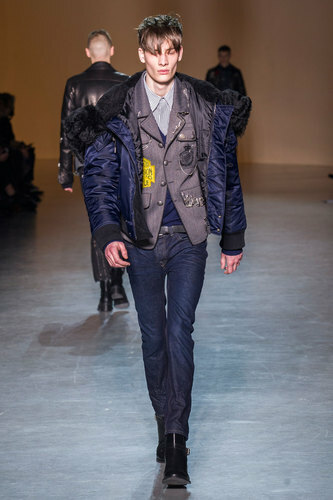 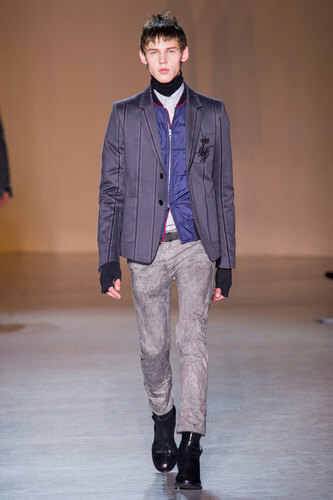 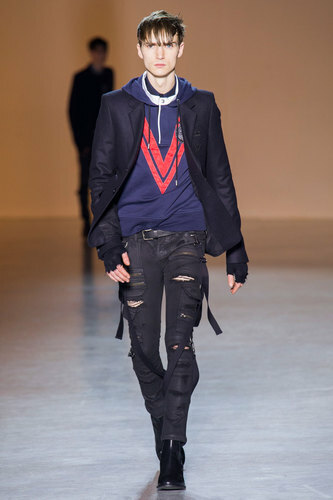 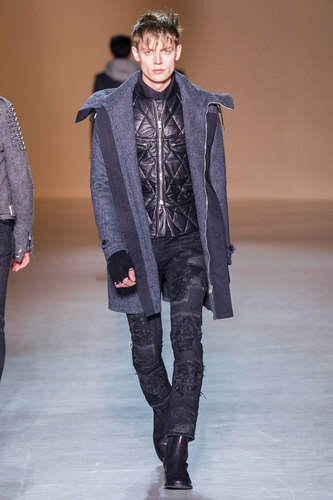 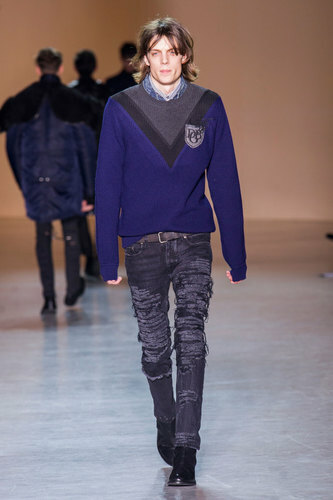 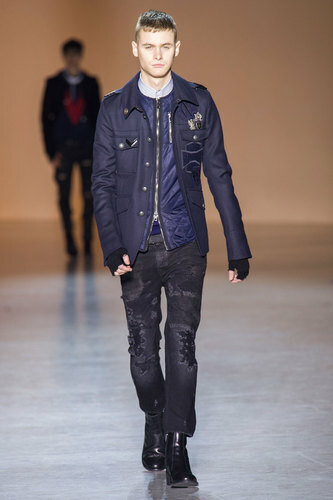 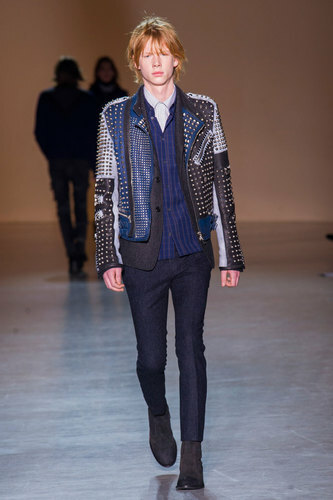 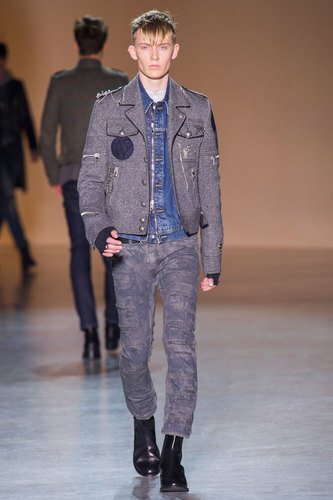 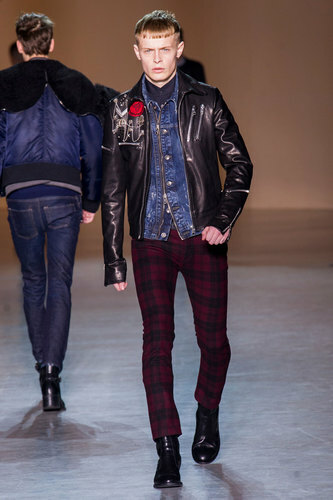 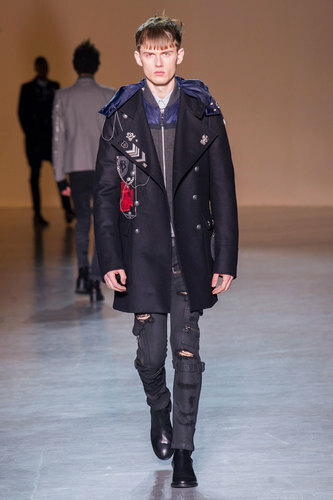 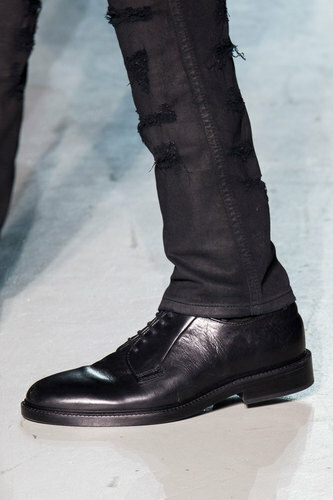 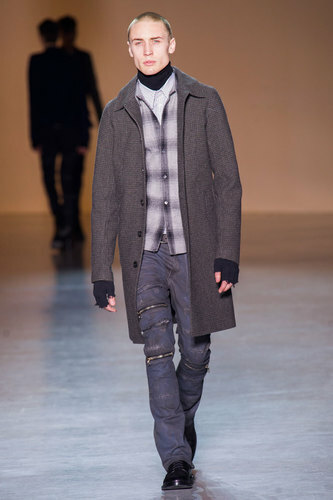 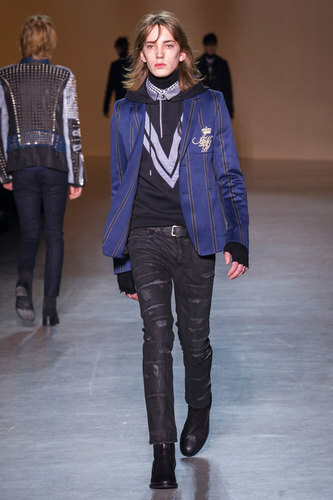 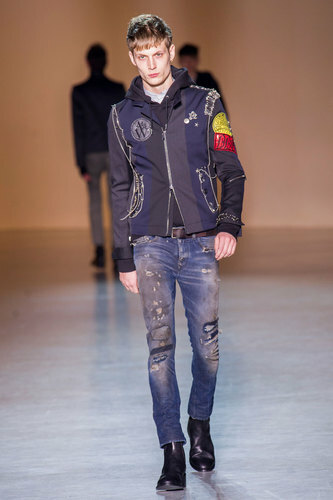 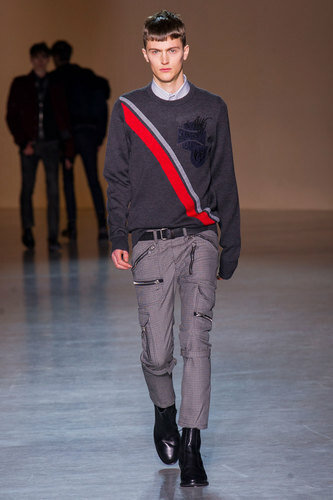 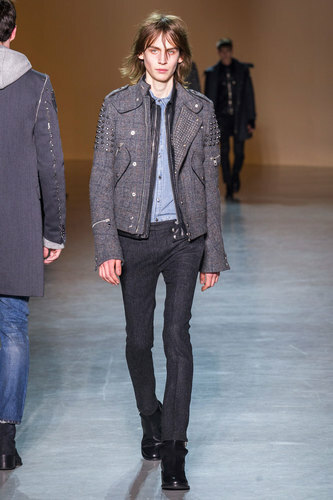 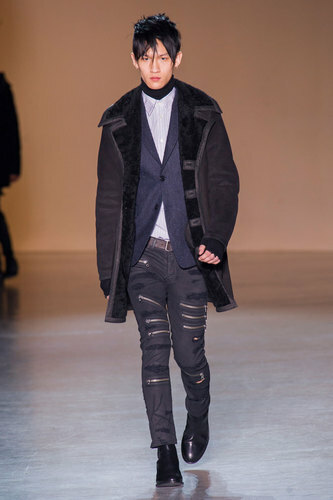 Diesel decides to wear the new season man with more layers on the waist part instead of using chunky textiles.